Is it important to know the best deer feeding times? Does irregular diet affect the deer? 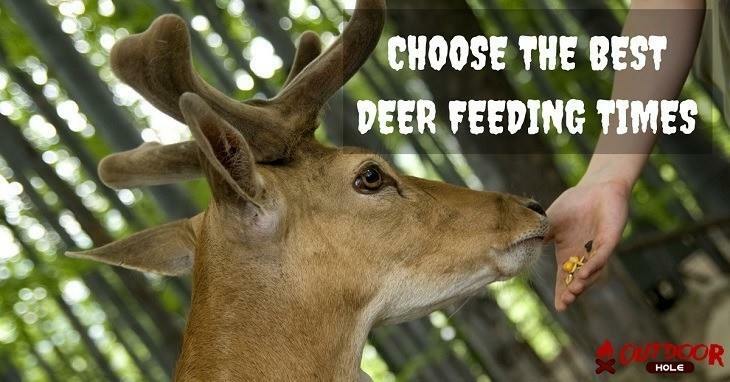 These are very common questions which come to our mind while feeding a deer. One must know, wild animals like deer also need time to get used to any new diet. Most of us might not be taking this seriously, but one must know that careless feeding or regular changes in the diet affects the survival of deer and sometimes also leads to death. Deer come under the category of browsers and hence their stomach is efficient enough to digest a large variety of herbs and shrubs. However, a change in the eating habits may be problematic for them since their stomach needs time to digest. Facts have proved that deer are dying from the problem of acidosis which is caused due to a change in their diet. These browsers when to start having corn often face this difficulty. Here, we will explain the times when one should feed a deer and teach you how to adapt them to have different foods as well. 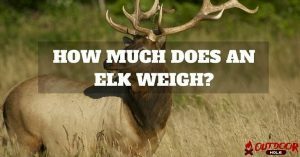 what is the best Deer Feeding Times? When it comes to seasons, deer must be fed especially during the winter seasons since they find it difficult to find the food resources during this season. While feeding the deer make sure that you introduce new things very slowly in their diet. Start by adding a small quantity of supplemental food in their natural diet and then gradually increase the amount. Introducing new food slowly in their natural diet will smoothly and slowly make their stomach efficient to digest the foods. The whole process is slow and gradual. 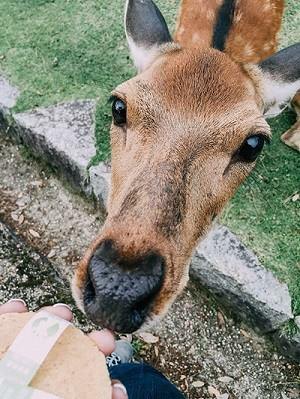 Hence, you must be patient enough while feeding a deer. A Little bit of carelessness may result in serious consequences. To know more watch this video. Every season and the extreme conditions bring lots of challenges to a deer’s life. The feeding chart below not only helps the deer to survive these conditions but also helps you to provide the deer a better nutrition. The chart consists of the foods which must be fed to deer in different seasons. Due to the decrease in temperature, the green herbs and shrubs get limited. Supplemental food fills the gap. 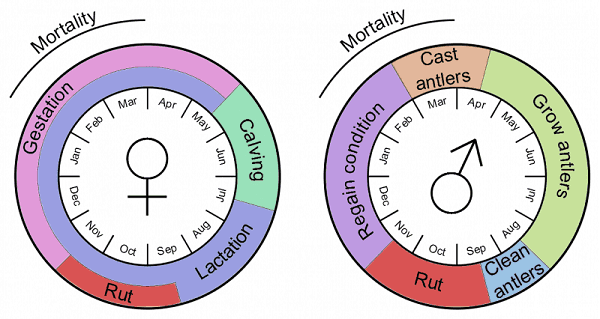 Season in which breeding takes place, the conditions fluctuate. During breeding seasons deer require higher energy. Proper food supply can retain their energy level. Hence, supplemental food is important in this season. Increased natural resources, greenery all around. During Spring season the greenery is abundant. There are lots of food resources. Since natural forage is abundant in this season, supplemental food maintains a balance. Scorching heat and high temperatures lead to drought. Variable nutrition found from forage. The drought and the excessive heat of the sun lead to extreme conditions. In this season, the deer must be provided with proper minerals and vitamins to survive this extreme weather. A deer feeder must be very careful while feeding this beautiful animal. These white-tailed creatures not only look graceful but also have a tremendous ability to survive under any circumstances. 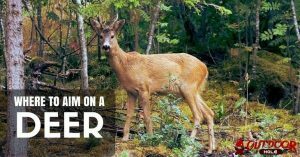 To become a perfect deer feeder and feed them on a regular basis you must follow few easy steps. First of all, choose a perfect location for feeding them. Make sure that the area you choose is not crowded. Once the location has been chosen, feed them whole shelled corn. It is recommended by many deer nutritionists and has a high content of protein. It is not too expensive and is edible even in winter seasons. While you start with one particular food, make sure that you consistently provide the same food to the deer. They must get enough time to adapt their digestive systems with the different types of food. The need of nutrients and vitamins vary for different deer. However, the deer feeders must be careful enough to choose the best food for the deer. The different species need different types of vitamins and minerals but most important things is the time along with the position of the moon. Here is a chart that will give you a clear idea about feeding the deer. This is one particular chart that you can follow for an effective diet of a deer. To avoid bitter consequences, you must be very attentive about the deer. 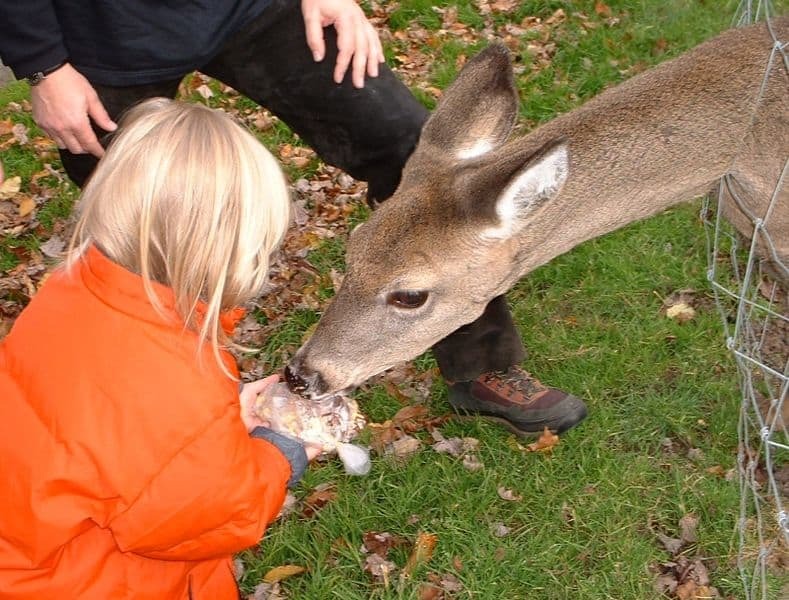 This is a very important job to let your deer take the time to adopt the new food habit. It would be wise to change the food slowly so that there is ample time for the deer to get used to the new schedule and type of the food. The seasons should also be on your mind. This article has given you all the basic information about the best deer feeding time for their best possible growth and survival. We must remember that their habits regarding food and digestion are far more sensitive than other animals. This is the main reason for which there are so many unusual things to keep in the mind. The growth includes not only food but the vitamins and minerals present in it. Different kind of deer require dissimilar nutrients for their growth and as you are responsible for keeping them healthy, you may like to follow the instructions properly. So happy and safe feeding time with your beloved beautiful creature. HOW TO ATTRACT DEER TO YOUR YARD IN A MATTER OF DAYS? 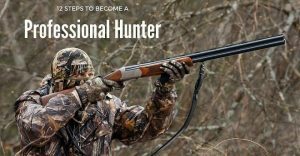 How To Become A Professional Hunter?